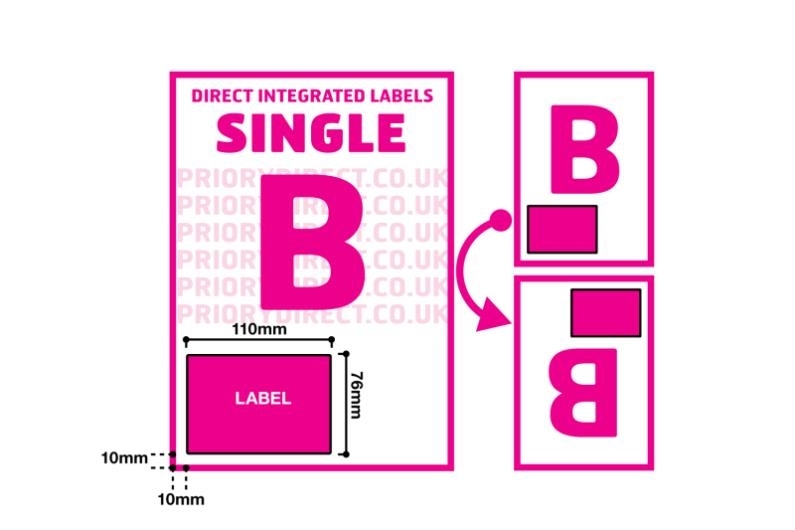 Single Integrated Label Style B is our most popular single integrated label. 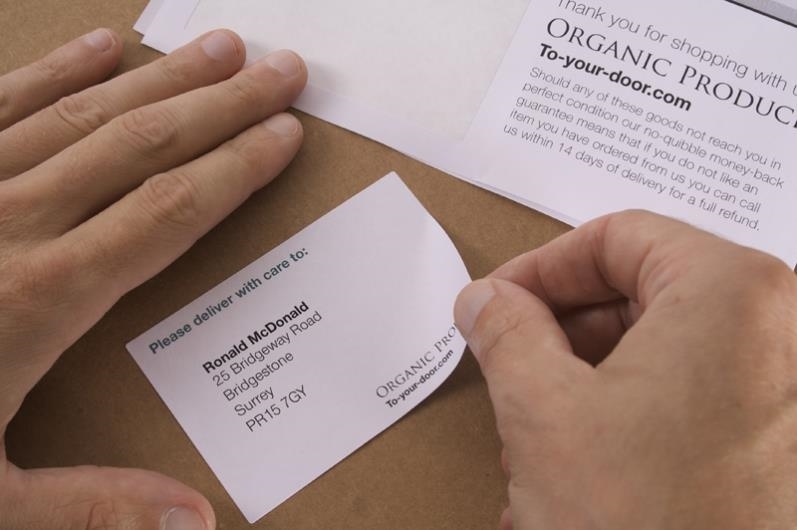 It includes a removable self-adhesive area so you can print an address label on the same sheet as your customer invoice. 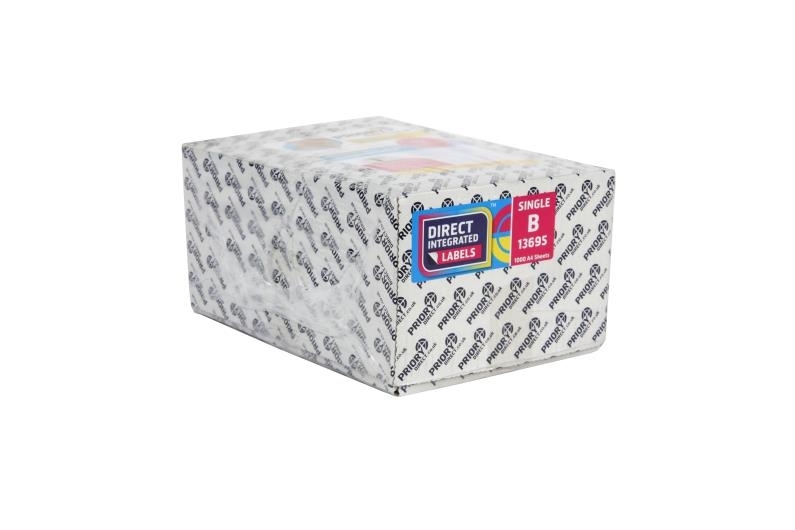 The label is 110mm x 76mm which is large enough for address information and PPI details. 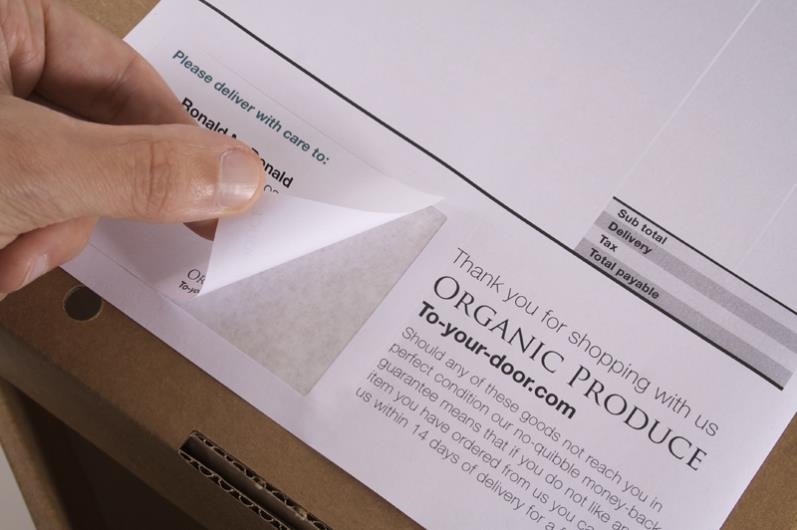 The label is positioned 10mm from the left and foot of the page making it suitable for use with most e-tailer software programmes.